Clothing designer and Aspen seamstress Maria McFarland designed floor-length dresses for the "Green is the New Black" fashion show in Carbondale. The show highlights clothing made from sustainable items. McFarland first sketched her dresses and then started sewing. The floor-length design is inspired by popular fashion in Russia, which is where McFarland is from. McFarland calls this dress "romantic." It's made of silk and features reused jewels. In Aspen this week, well-known brands like Helly Hansen and Columbia are being featured on the runway during Aspen International Fashion Week. Farther Downvalley, a different kind of fashion show is about to get underway. The so-called Green is the New Black show highlights recycled and sustainable clothing. 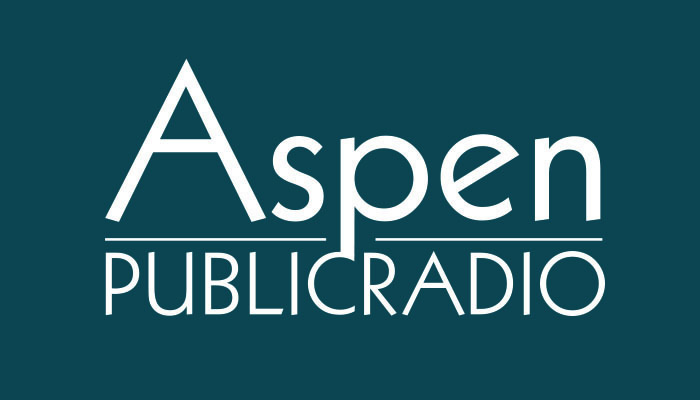 Aspen Public Radio’s Marci Krivonen explains. Clothing designer Maria McFarland is hard at work in her Aspen apartment that doubles as her workshop. Sewing machines and fabric are neatly tucked into one corner. She’s finishing her final pieces for Carbondale’s Green is the New Black Fashion show. "So, all of my pieces are made of 100-percent silk and reused jewels and beading," she says. McFarland is a local seamstress who prides herself on quality work. She’s spent many sleepless nights creating several floor length dresses that mimic Russian fashion. "In Russia it’s really popular right now to wear long dresses, so if you go there, there are a lot of girls wearing long dresses and a lot of times you’ll see dresses with a closed neck." Amy Kimberly is Executive Director of Carbondale Council on Arts and Humanities, the group holding the fashion show. "People bring the best of what they’ve got and present it to us and become part of it," she says. Local models will wear pieces from 28 designers from the Valley and beyond. Kimberly says the idea is to have designers incorporate sustainability. 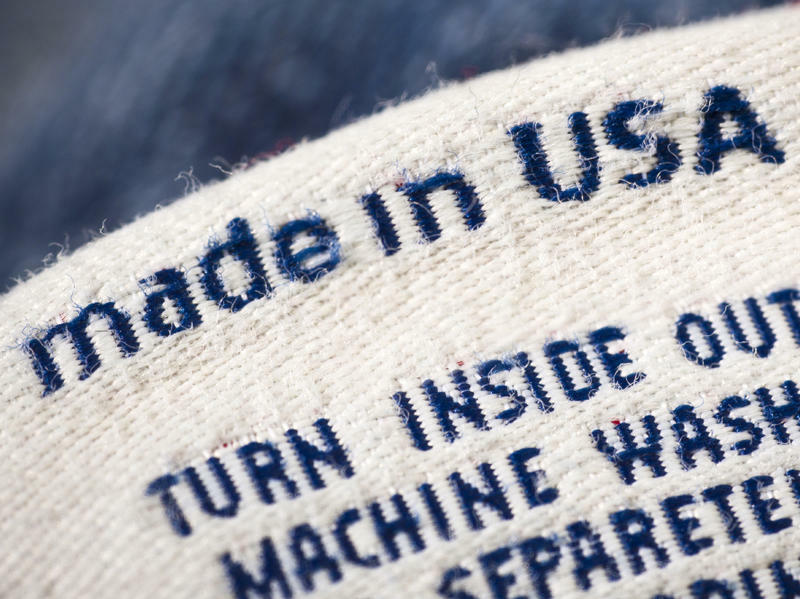 "All the designs are created from recycled materials, or designers use sustainable methods like using organic materials and creating it locally, in the area as opposed to shipping it off to China." Some of the designs are wacky, like a dress made of ethernet cords or outfits made from feed bags and paper. It’s not just a fashion show, says Kimberly. Choreographed dances and a high level of visual imagery are part of the event. "It’s not what you’d think of in the typical sense of a fashion show. It’s really a multi-media performance that focuses on design and dance, with a message of stewardship of our earth." This year’s theme “Down the Rabbit Hole” is a nod to Alice in Wonderland. The graphics and some of the clothing incorporates the theme. The event’s is a fundraiser for arts education programs. Friday's fashion show is sold out. Saturday’s show will be held at the Carbondale Recreation Center at 8 pm. If you find yourself sauntering down the runway wearing 40 pounds of chocolate, don't sweat it. Seriously — you might find yourself dripping on the audience. 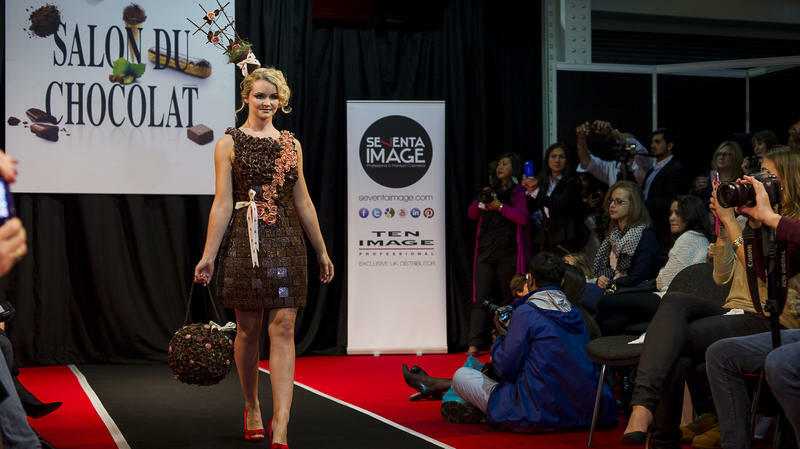 So warns Fiona Bitmead, one of 10 models who showed off edible chocolate creations Friday night at the Salon du Chocolat in London. Five handlers helped her get dressed. "[I] had to worry about a dress melting on me!" she says. "I can't say I've ever wanted to eat the dresses I've worn down the catwalk before."